My blog post on Friday, March 12, was on a student presentation about American Transcendentalism and Henry David Thoreau. Today's post offers a second student presentation from my Maharishi School American Literature course. The presentation by the students also included the goals of consciousness-based education to connect the content of the course with the inner lives of the students. The students enjoyed the experience of incorporating technology into their lesson. Wholeness: Henry David Thoreau was a living embodiment of American Transcendentalism. Question: Why did Mr. Thoreau oppose the Mexican-American War? Answer: He opposed the war because he deemed the war as selfish and unreasonable to start. He liked non-violent acts and believed we should settle things peacefully. He believed there was more to life than only the relative. Question: How did Mr. Thoreau inspire protests later in history? Answer: He gave an example of non-violence, and he also wrote about his actions in the very popular "Civil Disobedience." He knew foolish actions used to take material wealth were worthless and that those acts did not support evolution. Traits: The trait that I see most present in this video and in Henry David Thoreau's life is in the Vedic literature of "Nyaya," the qualities of distinguishing and deciding. Mr. Thoreau had great distinguishing and deciding skills; he had a great sense between what was right and wrong. He also had to use his distinguishing and deciding skills when he was out living in nature. He had to decide between which plants and animals were safe and not. Traits: Another trait visible in the life of Thoreau was the Vedic branch of literature "Samkhya," the quality of enumerating or listing. Thoreau had a reverence for nature and all its variety that led him to live outside for an extended period of time. He also advocated for people to move away from society to experience nature. Summary: This video shows an overview of Henry David Thoreau's life and how his life shows and embodies transcendentalism. This video also shows his influence on American literature. Thanks to Paul D. and Ryan S. for their work on this project. 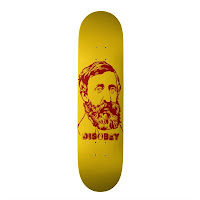 For more information on Henry David Thoreau, try The Thoreau Society or The Thoreau Institute. If you're interested in the life and writings of Thoreau, please consider the Thoreau Insitute at Walden Woods (www.walden.org/institute) as a resource. We're here to help students gain an understanding of this great Amnerican writer.